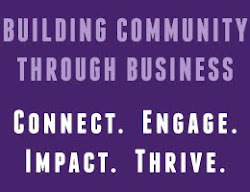 The Western Women’s Business Center (WWBC) at The Support Center (TSC) is a lead co-sponsor of this year’s Asheville Area Arts Council’s (AAAC) Creative Industry Management 8-week course designed for craft artisans. The course will be held twice between July and September at the Goodwill Career Center in Asheville, NC. The Creative Industry Management course will guide participants through the business planning process by covering essentials of the craft artisan’s business model. This learning experience involves team building, problem solving, timelines, activities with movement, and more. The cost for the course is $500 or $63 per week. The WWBC at TSC will be offering scholarships for qualified participants to subsidize the cost. Upon completion of the course, participants will receive the AAAC’s Certificate of Creative Business Management. The course first launched in August, 2014 with 11 recipients. This year, two classes will be offered: the first round will be held from July 29 until September 16, and the second round will be held between September 30 and November 18. The AAAC also partnered with HandMade in America to produce the course. Other lead sponsors include the NC REAL Institute, the City of Asheville and Goodwill. The 8-week course curriculum will cover NC REAL’s teaching methods and a learning experience generated specifically for engaging creative individuals.